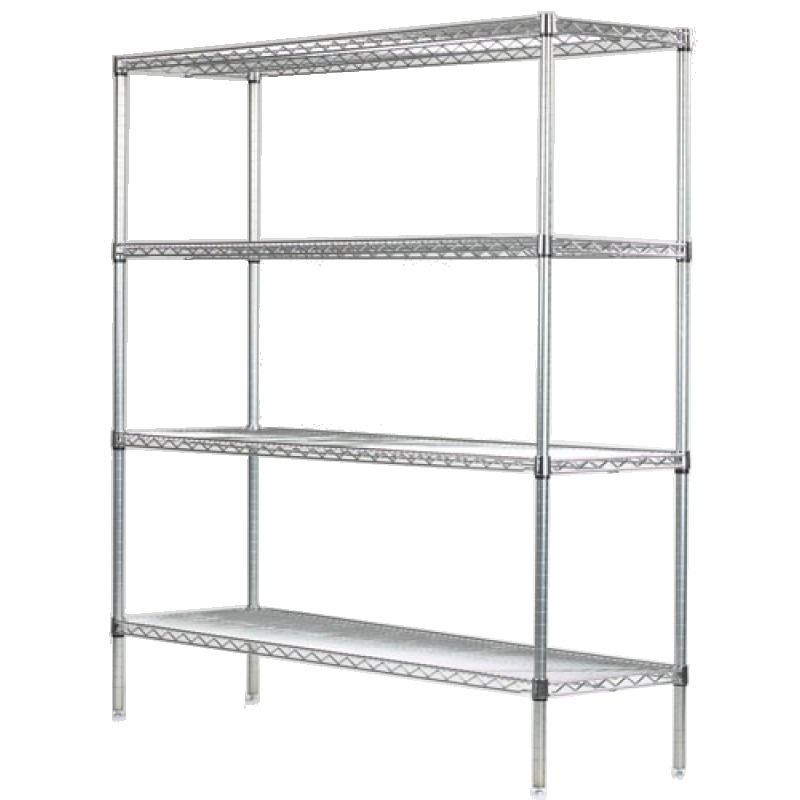 Shelf heights can be adjusted and repositioned every 1 inch. Exact measurements 24'' x 24'' x 96'' High. Chrome plating process deposits hard chrome over nickel. Shelf mat wires run front to back for added strength and for ease of loading an unloading.